OMG these were delicious and super easy!!! 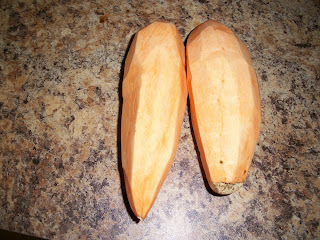 Yay..
First, I peeled and cleaned 2 sweet potatoes. This was a PERFECT amount for the two of us. Then I cut them into strips. 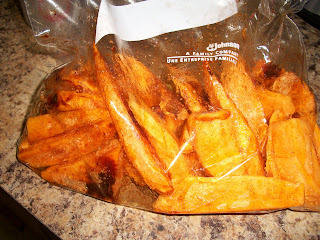 Then I put them in a resealable plastic bag. Poured in the olive oil, cinnamon, paprika and salt. Then I shook it all around and made sure all the fries were coated. 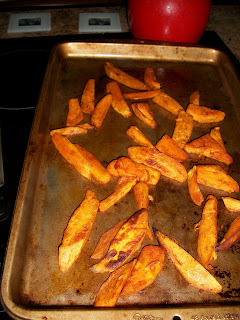 Then threw them on a baking sheet in a single layer. 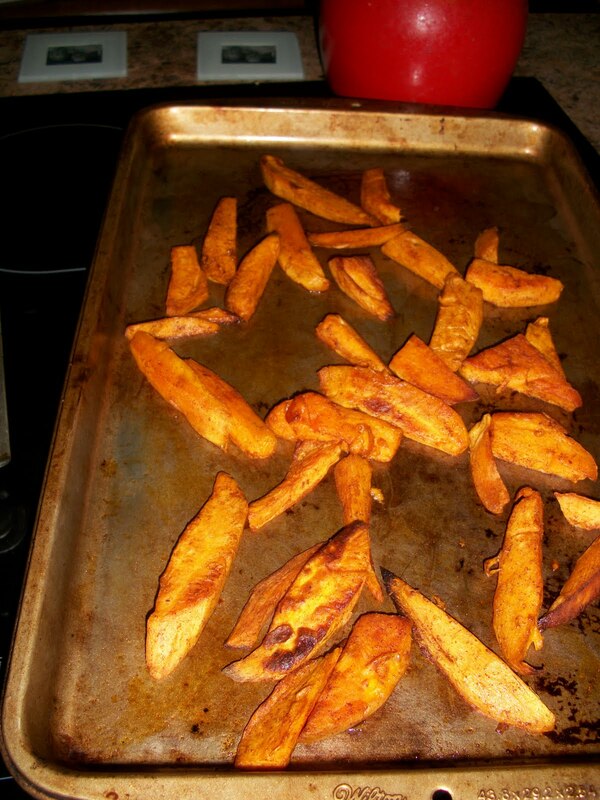 I put them in the oven and turned them every 10 minutes for a total of 30 minutes cook time. Verdict?- definitely doing again! super easy and good. 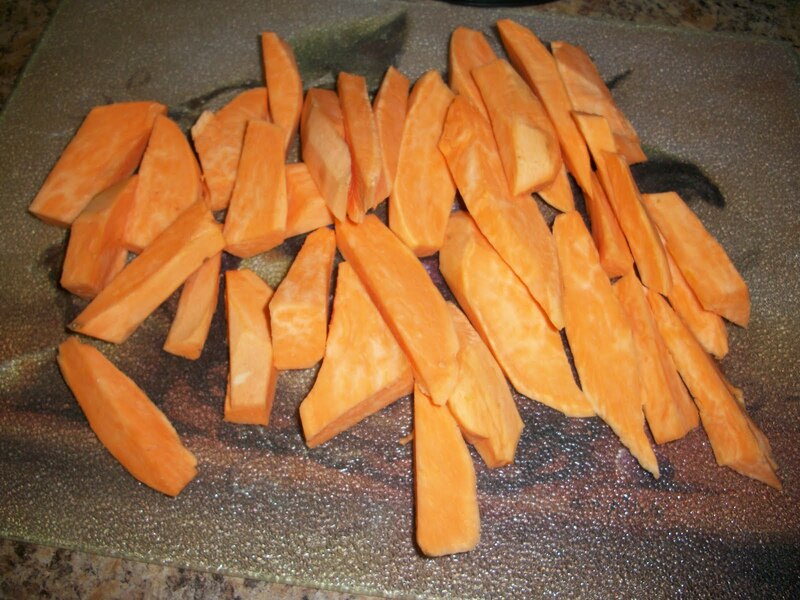 What is your favorite way to eat sweet potatoes? Poll is up for the March Group Read! 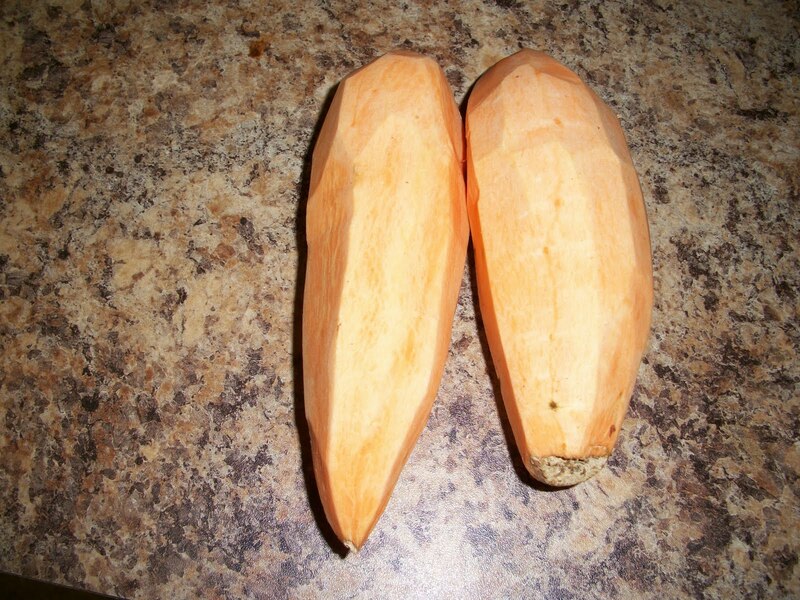 25 Weeks.. size of an eggplant?? Please visit me at my BRAND NEW SHINY BLOG! Nostalgia: Finding the Joy Through the Pain. Baby W is on the Way!